In today’s post, I would like to share with you some easy tips you can use to improve your business security. Running a small business is not an easy task. On any given day, you can run into dozens of tasks that need to be addressed. Improving your online security doesn’t normally feature very high on your to-do list. IT SHOULD. Small businesses have become targets for hackers simply because they know that security isn’t a high priority for many of them. Unfortunately, if your business were to be targeted the damage would be so severe that you could find it difficult to recover. Not only would you have data loss but it could also damage your reputation with clients. Please take a look at the following easy tips to improve security for your business. Don’t share sensitive information via email. Don’t allow employees to use the company computer for personal business. Shut your computers off at night. Hold your employees accountable if these procedures are not followed. You should always be careful about where your sensitive data is located. Especially highly important information that belongs to your clients. You will need to have a strict data backup plan and a data backup service in place. These need to be off site so that even if your office has damage done to it (fire, flood, theft) you will still have access to full copies. Check these periodically and restore from your backups to ensure they are up to date. Your office needs to have some form of security software in every one of your internet connected devices. These should be set up to scan daily for malware, spyware and viruses. It can be hard for smaller businesses to implement a more complex network security. This is where a host-based security solution comes into place. All hosts should be set up to update regularly to ensure protection from the latest threats. Most anti-virus solutions have automated updates built in. Wi-Fi is one of the common ways hackers can access sensitive information from your business. Often Wi-Fi networks have weak encryption methods or they are not protected at all. Always ensure you are using the highest encryption possible for your Wi-Fi network. Chose longer, more difficult passwords for authentication to also reduce the possibility of intrusion. In addition, you can stop broadcasting the network name, known as the SSID (Service Set Identifier). Frequently small businesses work with bigger organizations or companies and this can likewise furnish hackers with a direct route into the bigger element. In these instances, it is essential that you protect your key suppliers/partners by securing your own perimeter. This could include guaranteeing that there is appropriate authorization and authentication set up, securing your framework with a firewall and having anti-virus protection set up on each device. 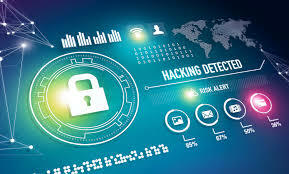 Hackers will often attempt to gather information by utilizing social hacking techniques which include deceiving one of the employees inside a business to surrender delicate information. Training your employees about these possible social assault situations implies that they will know about them and will be less likely to surrender to this sort of hazard. It’s frequently said that individuals are the weakest connection in the chain. As a proprietor of the small business, the best thing you can do is give your employees informed security training with the goal that they can shield themselves from online assaults as well as ensure the company’s assets. Make sure you are safeguarding all sensitive data (client data or data shared by a third party) by encrypting the data where feasible. You can implement full disk encryption (converting data on a hard drive into a form that cannot be understood by anyone who doesn’t have the key to “undo” the conversion). This way even if your network is compromised your sensitive data will not fall into the wrong hands. To prevent data from being accessed between the browser and the web server, be sure and switch your business website to a secure HTTPS. Password hijacking has become one of the easiest and most common attacks that businesses today face. Employees should not be allowed to use weak passwords and should also be required to periodically change their passwords. This risk can be minimized by simply implementing a frequent password changing policy. You can also require that their passwords include numbers, letters and one special character (@, $, %, <, &, *). If your office has an internal network then the first line of defense should be a Firewall before the gateway of the internal network. A Firewall can be software or hardware based. Even if the firewall is software based it will help mitigate some of the attacks that will be filtered out before getting into the network. Using anti-theft software in every desktop and laptop can prove useful if any business devices are stolen. The anti-theft software works by wiping out any data on the hard drive thus preventing it getting into the wrong hands. This type of tool also exists for smartphones if you need to secure these too and can be setup to track and monitor stolen devices. Finally, a physical hardware lock for less mobile equipment (workstations, servers, printers, switches, etc.) can also act as an effective deterrent. There isn’t any single way to fully secure your small business. You can, however, implement a few common-sense policies and back them up with appropriate hardware and software that can drastically reduce the risks posed by data loss. We hope you have found this post useful on how to secure your business. Please visit our website or contact us if you have any questions or would like help securing your own business.